You’ve received your estimate and want to schedule. What’s next? Call us to discuss available dates. Scheduling is first-come, first-serve. We DO NOT hold dates. We will confirm dates and details with you. Pay your deposit to officially schedule. Payment options include check, cash, and credit card. Deposits are refundable if the move is cancelled at least 14 days prior to the first scheduled date. Read the Moving Guide received from your estimator or with your estimate. Organize, pack and prepare for moving day. Home and items should be accessible with boxes clearly labeled. Call our office with any changes. Any billing arrangements MUST be pre-approved in advance by our office. 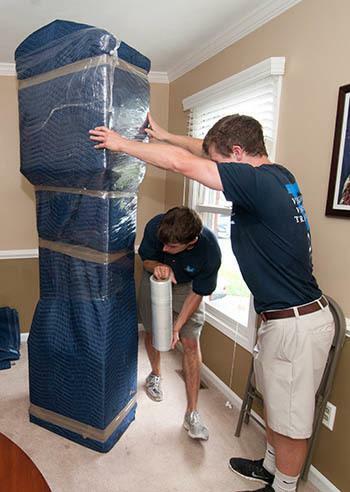 Most local residential moves are a one-day process. 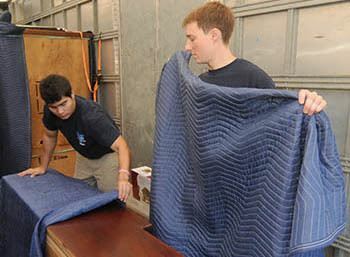 While multi-day and long distance moves will vary in their timing and duration, the process is essentially the same. A general timeline of a move is provided so you know what to expect during your relocation. Crew will arrive at pre-arranged time, typically between 8-8:30 am. Travel time WILL be billed at the same hourly rate. Introductions of the crew members. Walkthrough #1 – Before loading, tour the home, discuss game plan and any special instructions. Choose valuation coverage and complete other paperwork. Truck set-up and crew will begin loading. Loading process. Please be available for any questions. Walkthrough #2 – At the end of loading, you must confirm that everything you wish has been loaded in the truck(s). Lunch plans and a time to meet for the unload will be discussed with you. Meet at your new home at the pre-arranged time. Walkthrough #3 – Before unloading, orient the crew to the layout, room locations, access, and where you would like each item. Truck set-up and crew will begin unloading. Unloading process. You must be present at all times directing from a central point. Reassemble (reconnect) any items that the crew disassembled during the loading. Walkthrough #4 – At the end of the move, make sure everything is where it needs to be. Crew will rearrange as necessary per your direction. Final paperwork and signing off on final approval. Collection of bill. Balance is due upon delivery. Please bear in mind that some items may require considerable time such as cribs, bunk beds, trampolines, and forts. *Assumes proper connections and with some exceptions. A surcharge is typically applied.